London, UK -- Ven. Kassapa as always emphasised that the Order of the British Empire (OBE) he received was not only due to his own hard work but of team and the Buddhist community in the world. In turn he presented the award to his hard working team who has dedicated their service to the world community regardless of their nationality, creed, cast or geographical differences. The special investiture ceremony of presenting the official medals to those who have been honoured by Her Majesty the Queen took place on 28th of February at 10.00 a.m. at the Buckingham Palace. The recipients who have been honoured for their outstanding contribution to the humanity were members selected from the British public. There were hundreds of invited friends and family members who came to the palace with those who have been honoured. The Queen was represented by H.R.H. Prince Charles who conferred the honours. Ven.Dr.Witharandeniye Kassapa is the only Buddhist monk who has been selected for an OBE representing the Buddhist community in the United Kingdom. Ven. Dr. Kassapa who comes from a remote village in Southern Sri Lanka called Ruhuna a well known figure in the Buddhist and non-Buddhist countries for his spiritual and welfare services. As he started his mission from Africa in 1993, he has been nominated to receive Honorary Doctorate from the University of Ruhuna-Sri Lanka by its Senate and by the Supreme Sangha Council of Rohana in appreciation of his services rendered towards community in the world in 2003. 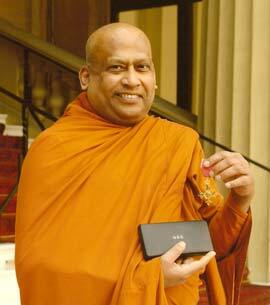 The University of Ruhuna, honourably felicitated only five Buddhist monks around the world. This is the first time a Buddhist monk from United Kingdom has been honoured with double doctorates from two recognised and established institutions. He was ordained as a Buddhist monk in 1968 at the Gangaramaya Temple in Colombo under the preceptor, the Most Ven. Deundara Wachchissara Nayaka Thera and the Most Ven.Galaboda Gnanissara Nayake thera. Ven. Kassapa received his training as a novice monk at the Sri Jinaratana Bhikkhu Training Centre, at Gangaramaya, Colombo from 1968. After the completion of his monastic studies he enrolled for junior, senior and secondary education whereupon he completed the Pirivena education in 1977. He proceeded to advance his education and therefore entered the University of Sri Lanka, Kelaniya Campus, where he studied Sinhala, Pali and Buddhist Civilisation. He graduated from the University in 1981. It merits mention that the authority of the Sri Jinaratana Bhikkhu Training College and the University College appointed him as one of the teachers in 1980 while he was still an undergraduate at the university. He remained on the staff after graduation until 1983 when he was selected to teach at Sudharmarama University Pirivena in Avissawella for a short period. He started his humanitarian services to humanity and animal welfare when he was working for the ?World Fellowship of Buddhists? based in Bangkok, Thailand in 1983. He was sent to Tanzania, East Africa by the World Fellowship of Buddhists as the incumbent of the Dar Es Salaam Buddhist temple. While he was residing in Tanzania, he travelled far and wide in Africa including Kenya, Zambia, Malawi, Zimbabwe, and South Africa on Buddhist teaching, welfare and Cultural missions. In 1986, he was invited by the Baba Saheb Ambedkar Buddhist Association in Birmingham, United Kingdom to teach Buddhism and lay the foundation for Buddhist cultural and social activities amongst the Ambedkarite Indian Buddhist Community. In 1987, he founded the East Midlands Buddhist Association known as Leicester Buddhist Vihara, where he is very happy to see its development. In 1988, the Chief Sangha Nayake of Mongolia, the Most Ven. Hambo lama invited Ven. Dr... W. Kassapa, through the former government of Soviet Union to set up the ?Soviet Anglo Friendship Organisation? (SAFO), where there is a branch of the I.B.R.O. is been set up in Byelorussia at present. In 1989, Ven. Dr. W. Kassapa pioneered a News paper named ?The Wisdom? 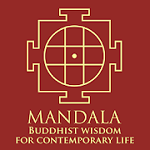 which was circulated amongst Buddhists and non-Buddhists in the United Kingdom free of charge. 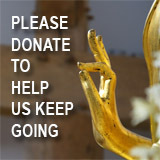 In 1992, he founded the International Buddhist Relief Organisation (I.B.R.O.) which was recognised by the United Nations. Presently I.B.R.O. has branches in Sri Lanka, Singapore, Malaysia, Tanzania, Italy, Switzerland, India, Germany, United States, Brazil, Zambia, Malawi, France and Byelorussia. In 1986, IBRO drilled water wells for the villages of Malawi. In the same year a project was initiated in Thailand to treat women who have been infected with HIV. Another project was launched to distribute hundred thousand spectacles to the needy people in Sri Lanka and regular financial grants are organised for the very poor children. Wheel chairs and crutches are been provided for the disabled in SriLanka. He initiated, established and supported various projects in Weligama, Southern Sri Lanka after the Boxing Day tsunami disaster in the Indian Ocean in 2004. At present over 250 small businesses have been re-established and progressing well with the financial support of the International Buddhist Relief Organisation... Furthermore over 500 students from primary, secondary schools and university are receiving financial support for their education in Sri Lanka. In addition to these services I.B.R.O. is well prepared to assist in any natural disasters anywhere in the world. Also I.B.R.O contributed financially to the recent natural disasters in Pakistan, Bangladesh and floods in the United Kingdom. In 1996, Ven. Dr. W.Kassapa inaugurated the first Buddhist temple by the name of Sri Lankaramaya in Milan-Italy, where he is the patron of the society. Before 2002 there wasn?t a Buddhist temple in Italy even though there have been over two hundred thousand expatriates living and working in Italy. In the event of death or any other important occasion Ven. Dr. W. Kassapa had to travel to Italy. Taking this in to consideration he decided to establish first ever Buddhist temple in the industrial city of Milan.